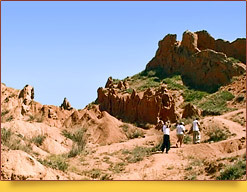 In Issyk-Kul district of Kyrgyzstan you will find not only untouched nature beauties full of mountain freshness. 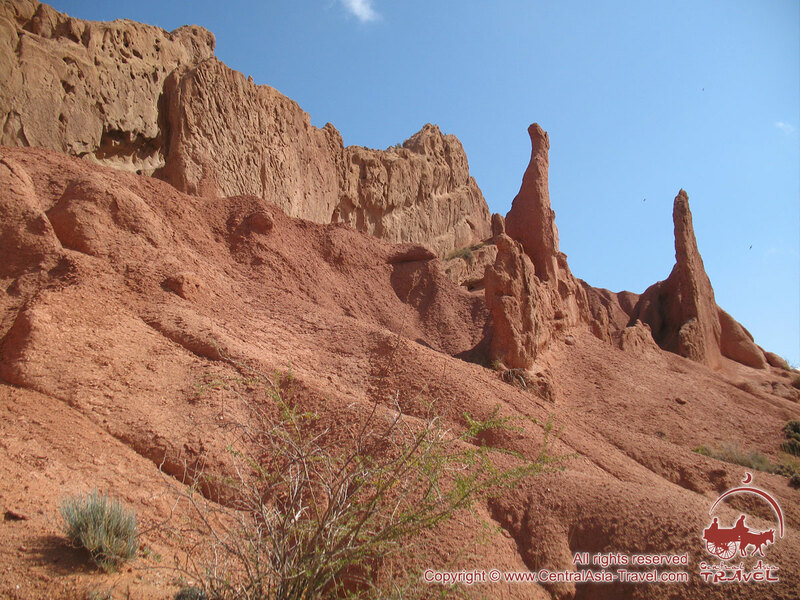 There are also sights that make you feel like being in another world, or on another planet. 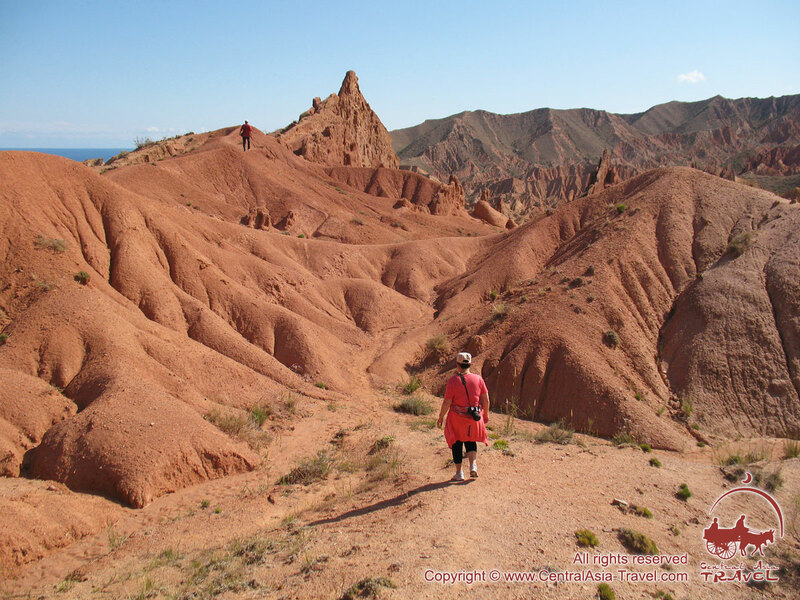 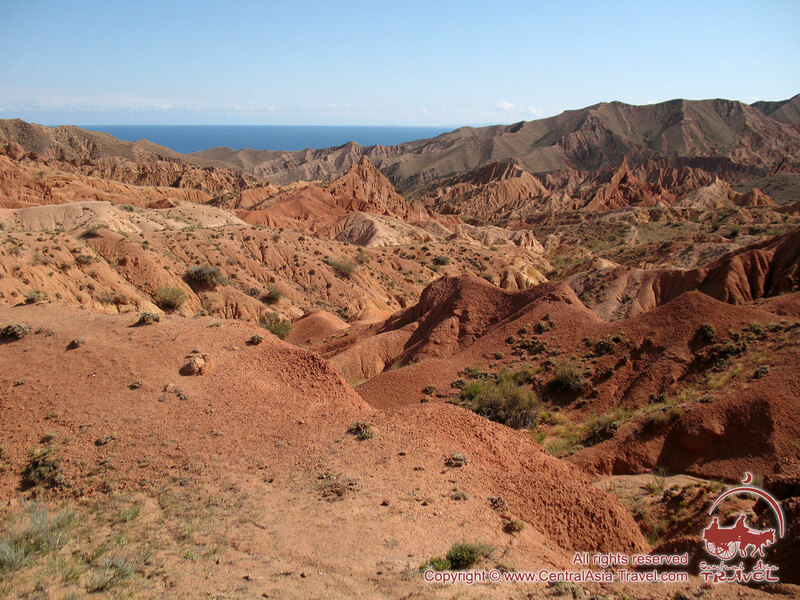 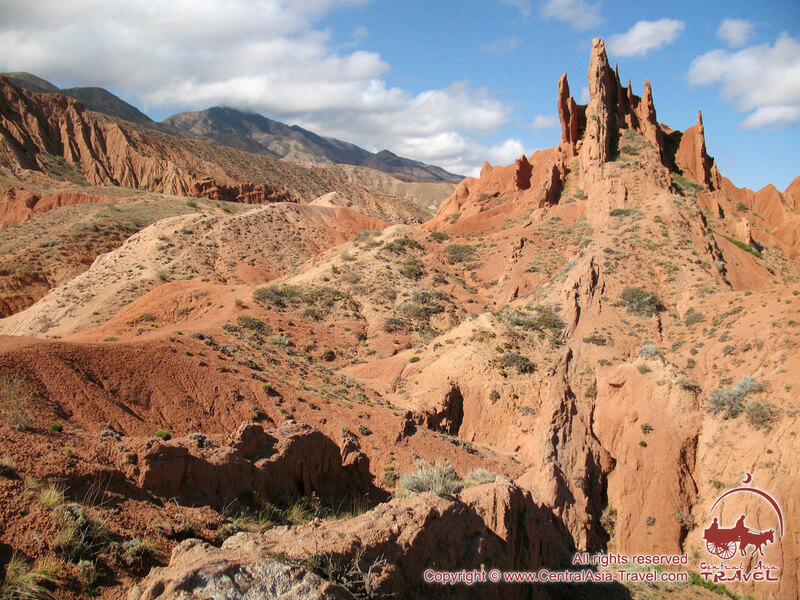 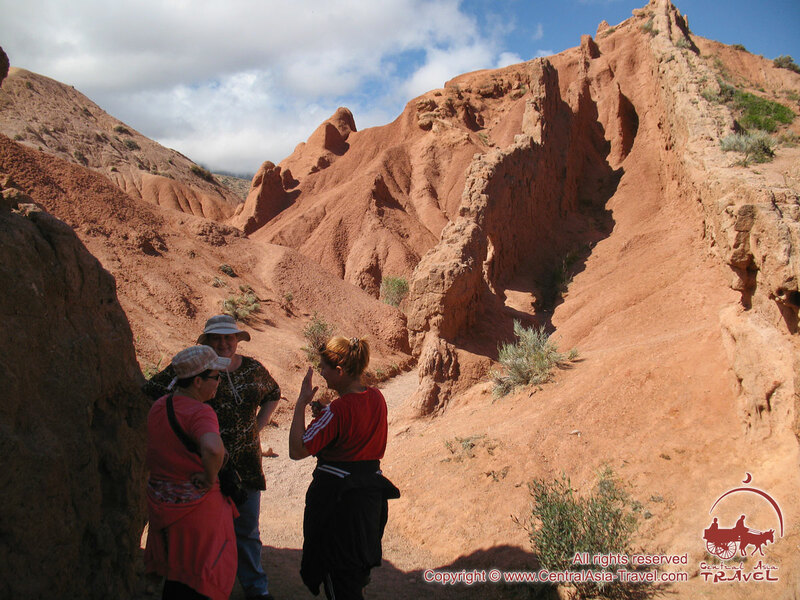 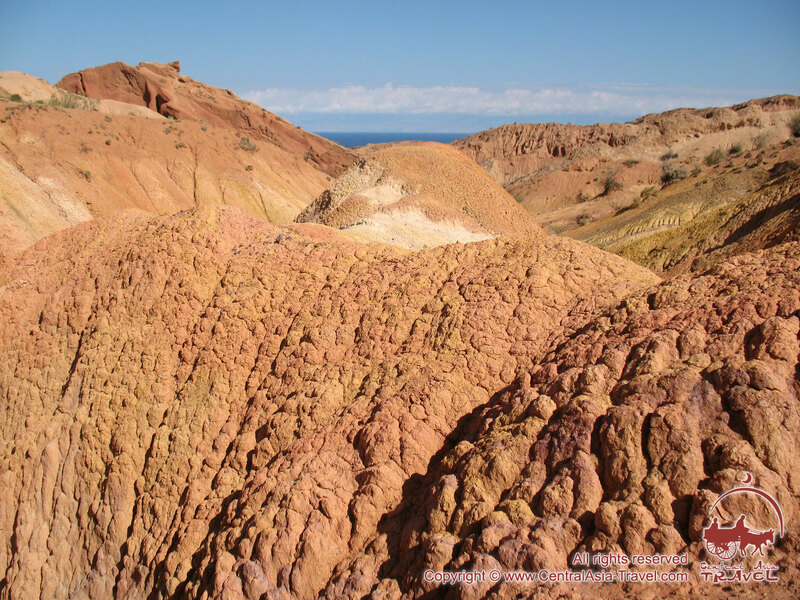 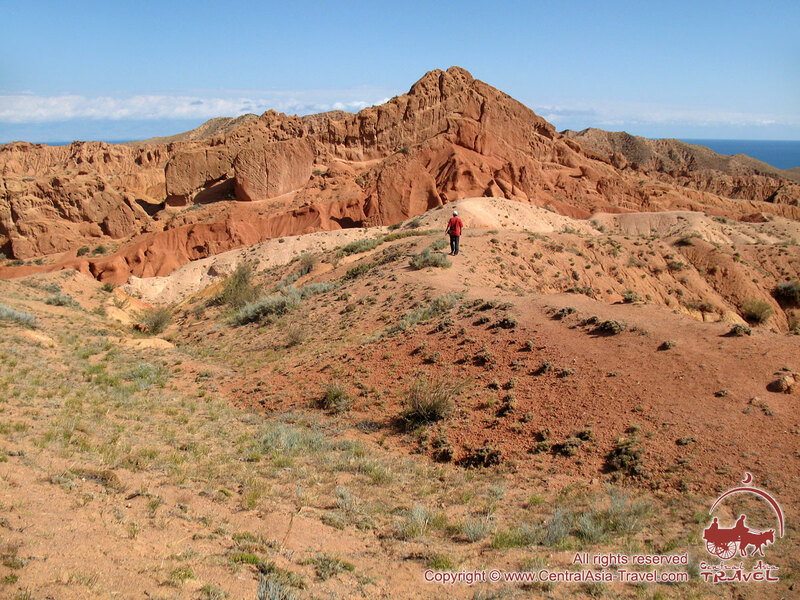 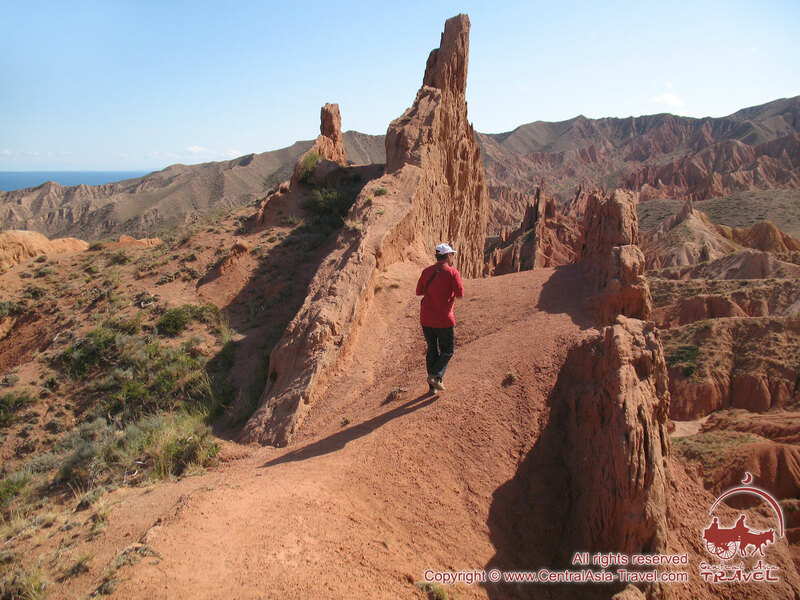 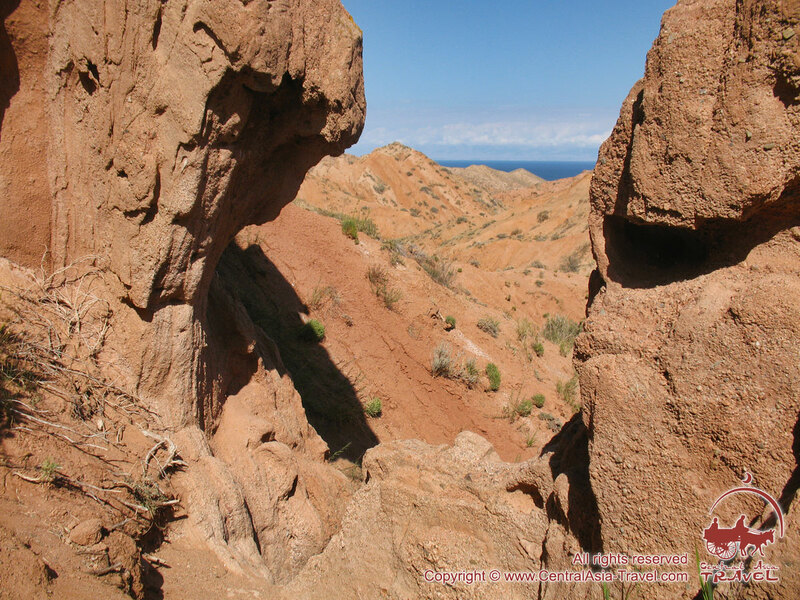 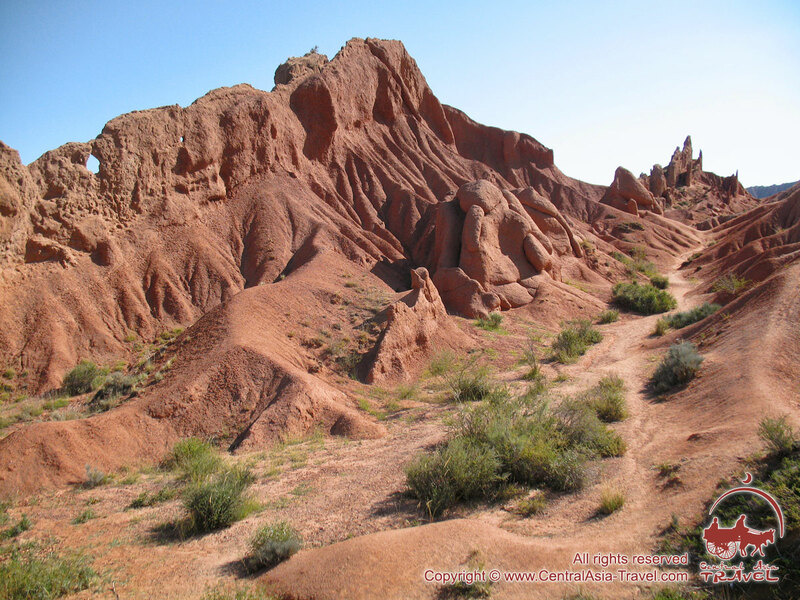 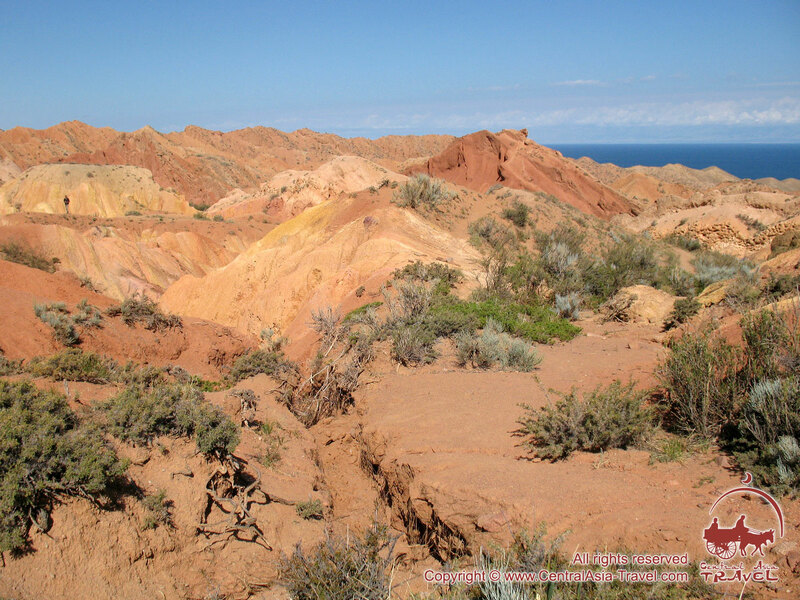 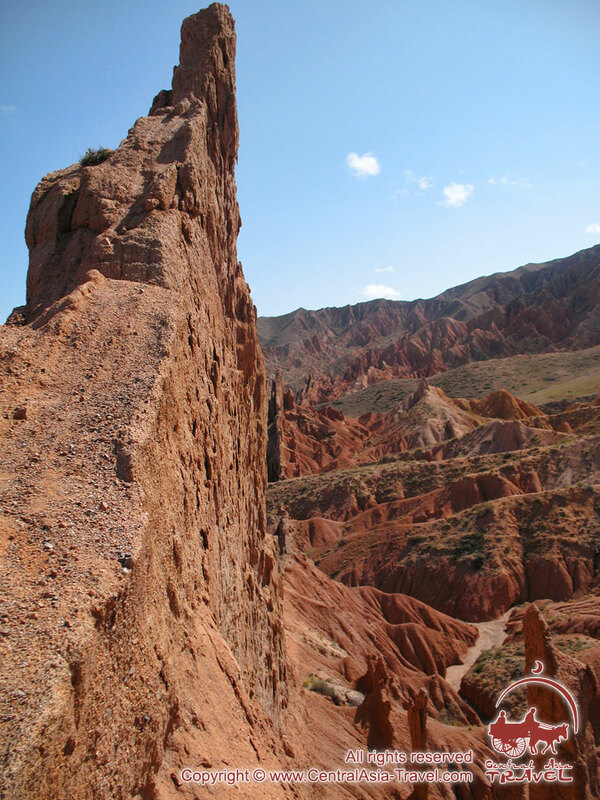 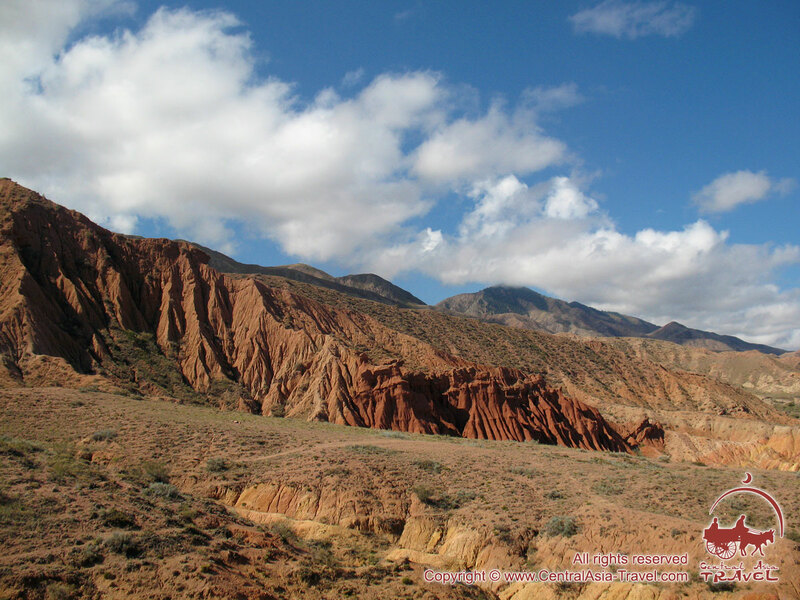 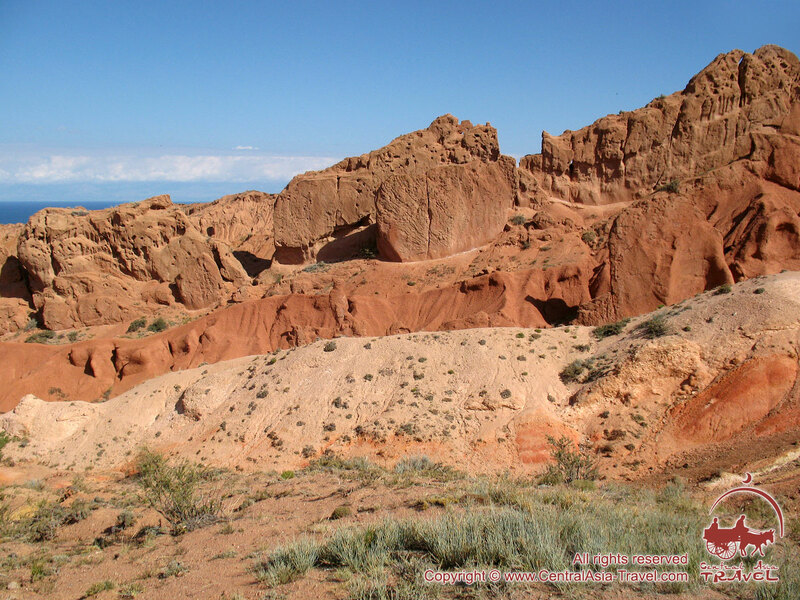 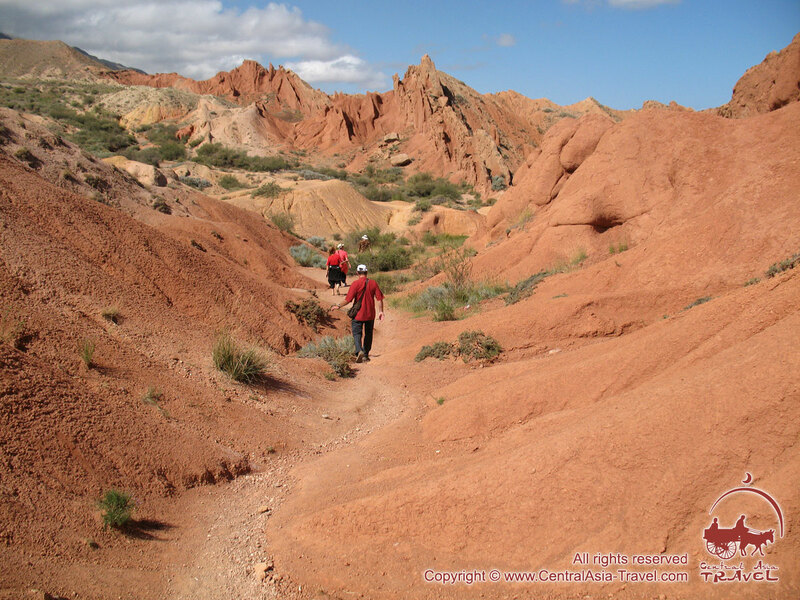 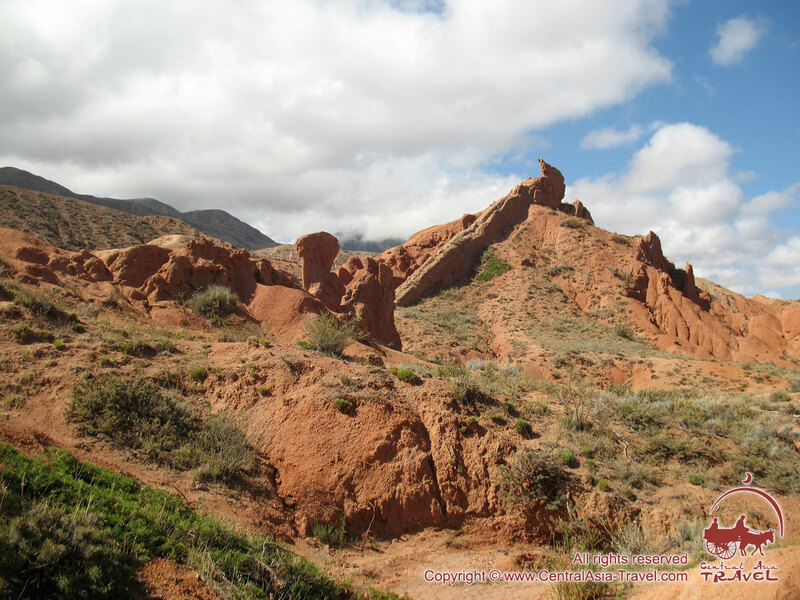 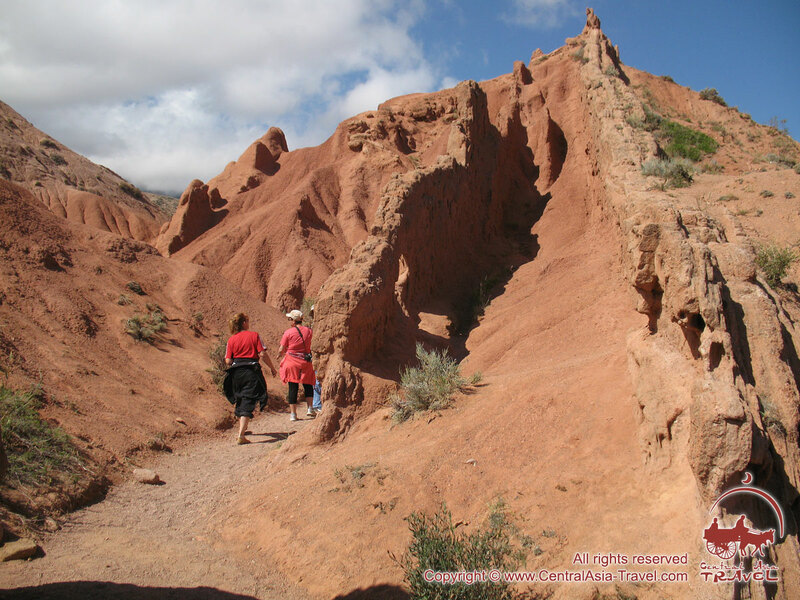 On the Lake Issyk-Kul southern coast, not far from the village of Tamga, there is an amazing creation of nature - the "Fairy Tale" canyon. 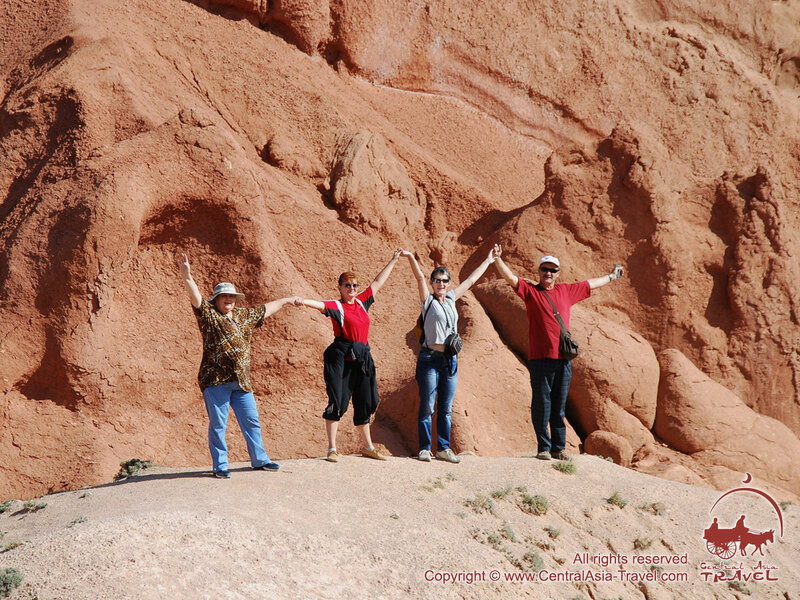 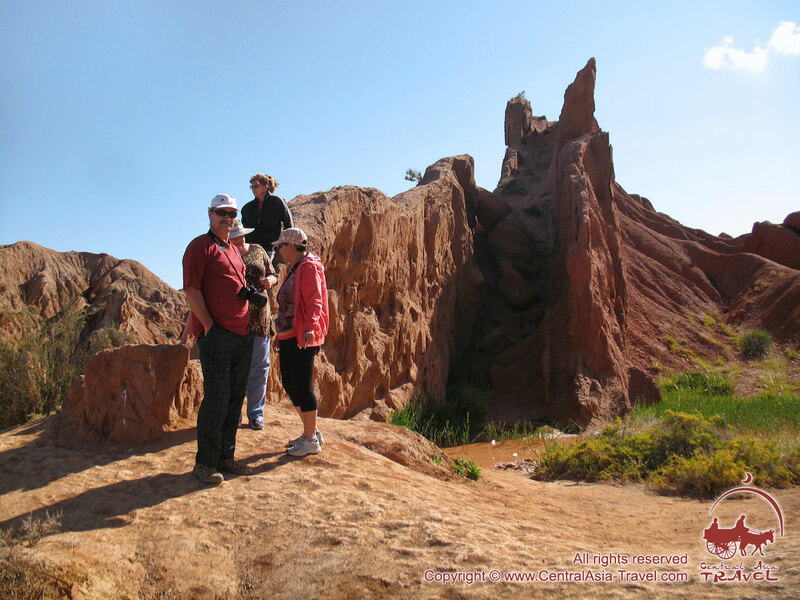 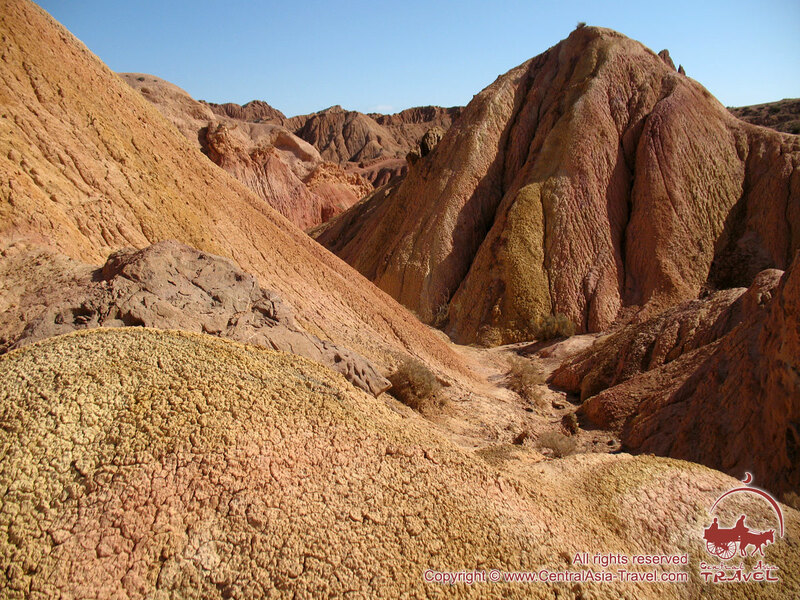 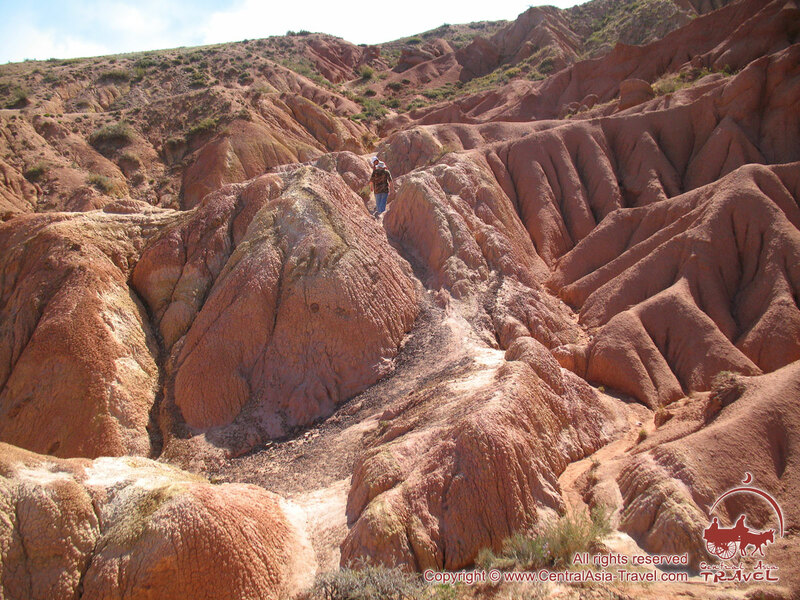 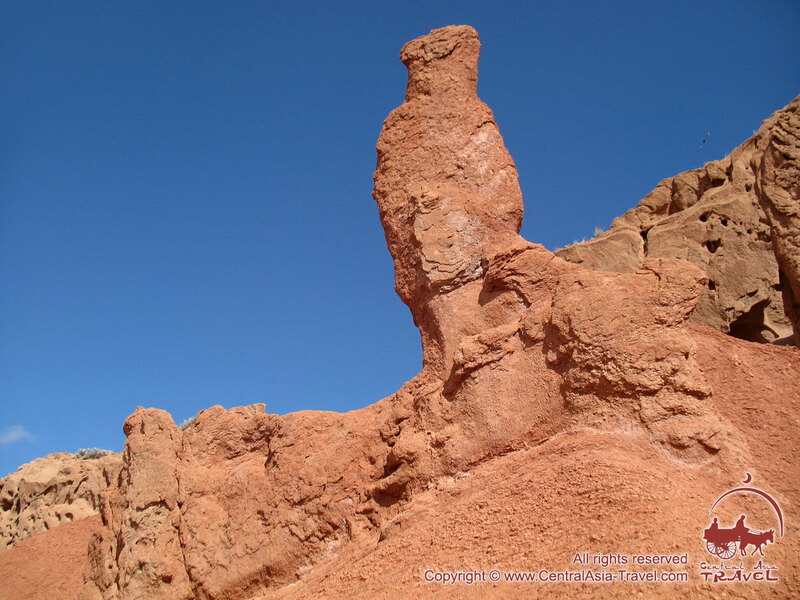 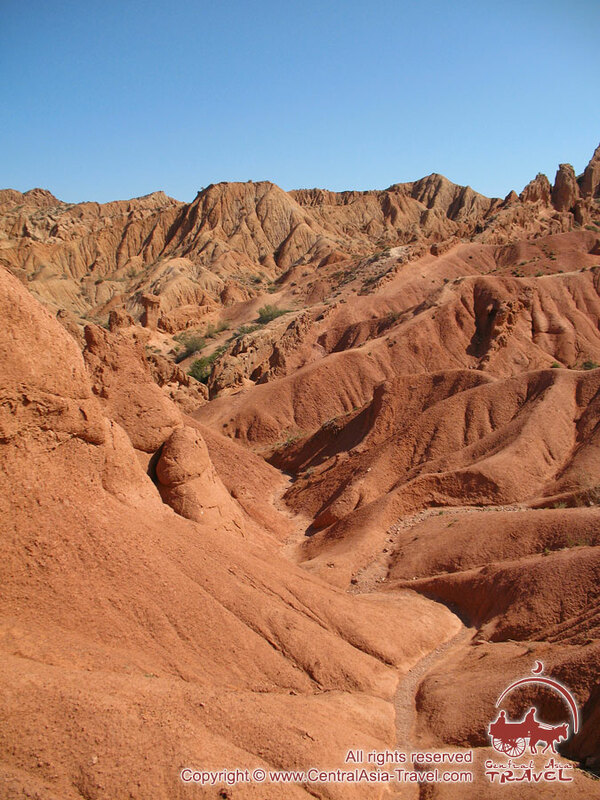 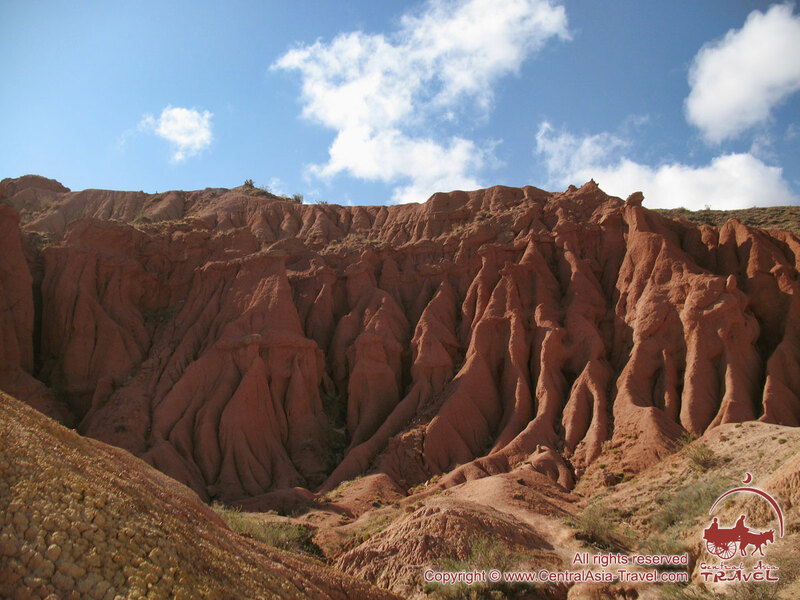 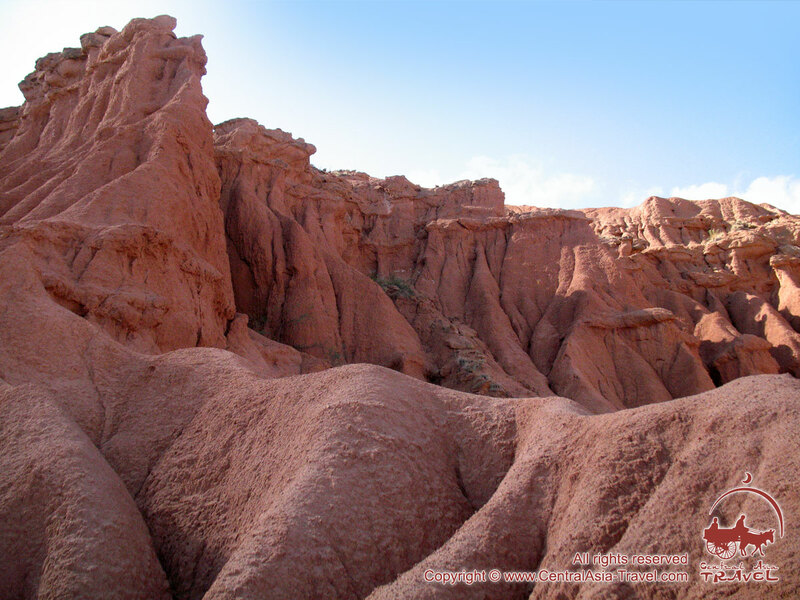 Composed of red sand and clay, the canyon has been formed for by geological processes, water and wind. 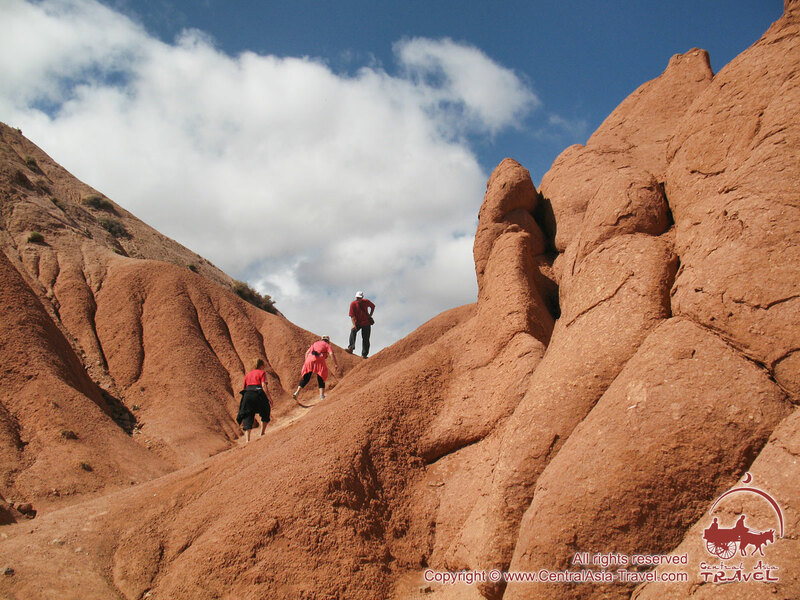 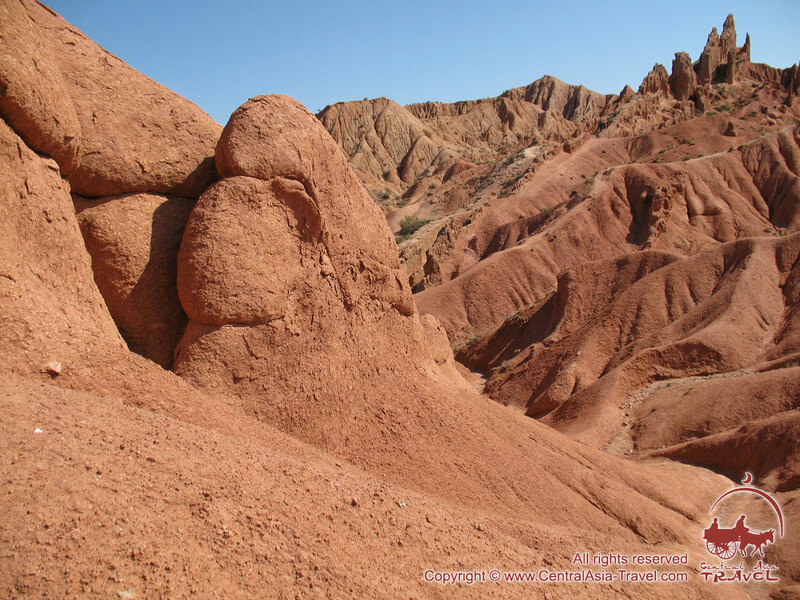 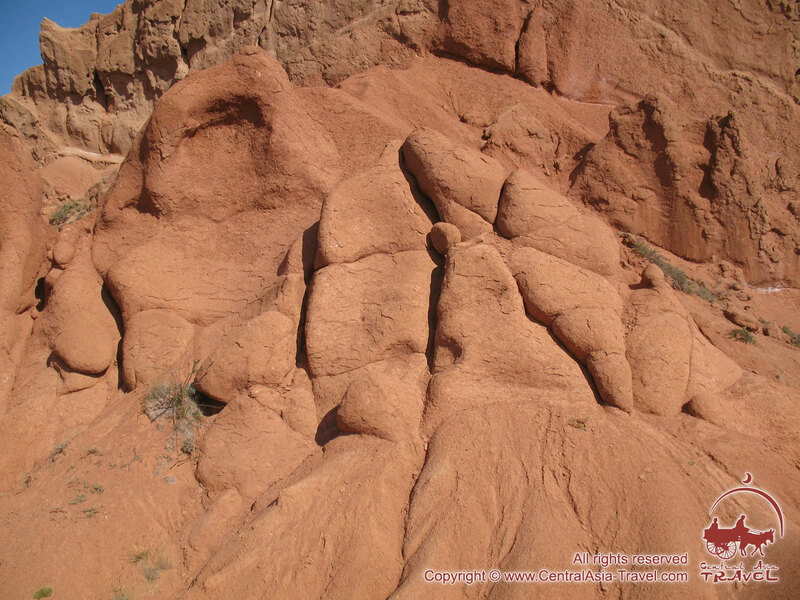 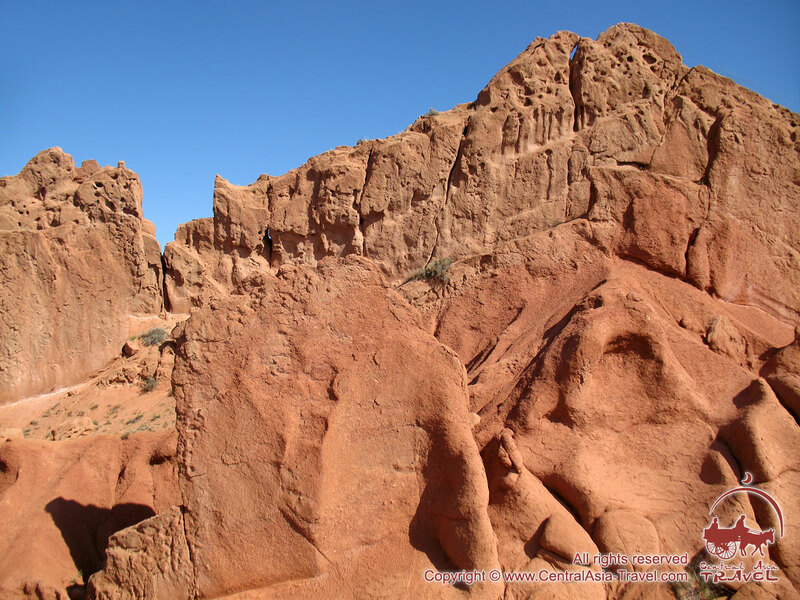 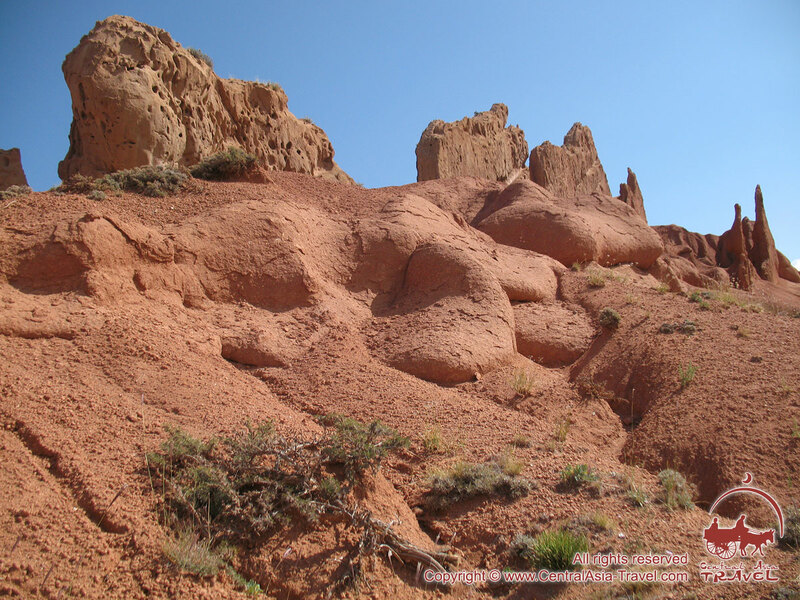 The natural forces painted intricate patterns on the slopes molded magic sculptures from red rocks. 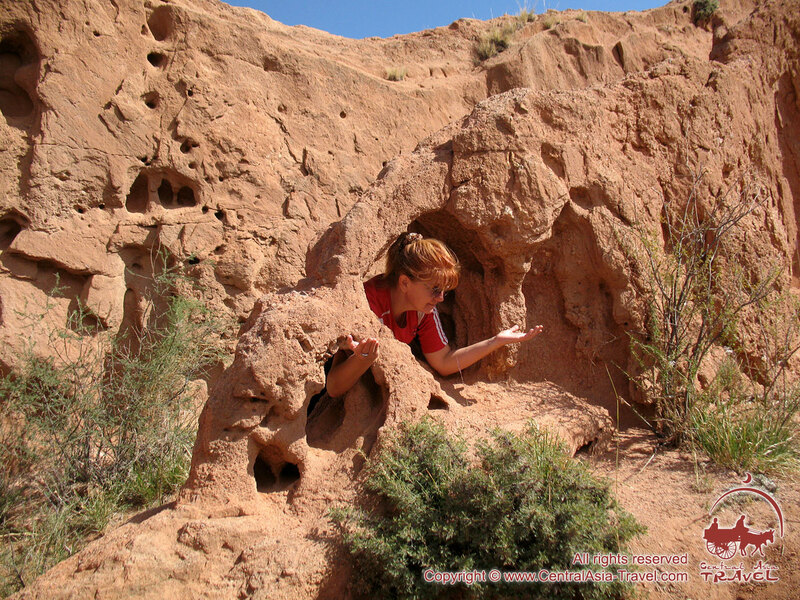 This amazing sight has the name “Fairy Tale” because if you wander through the numerous labyrinths of the canyon, through ephedra bushes covering its bottom, the imagination begins to draw fabulous images of fantastic animals and monsters, castles, towers, people's faces on its reliefs. 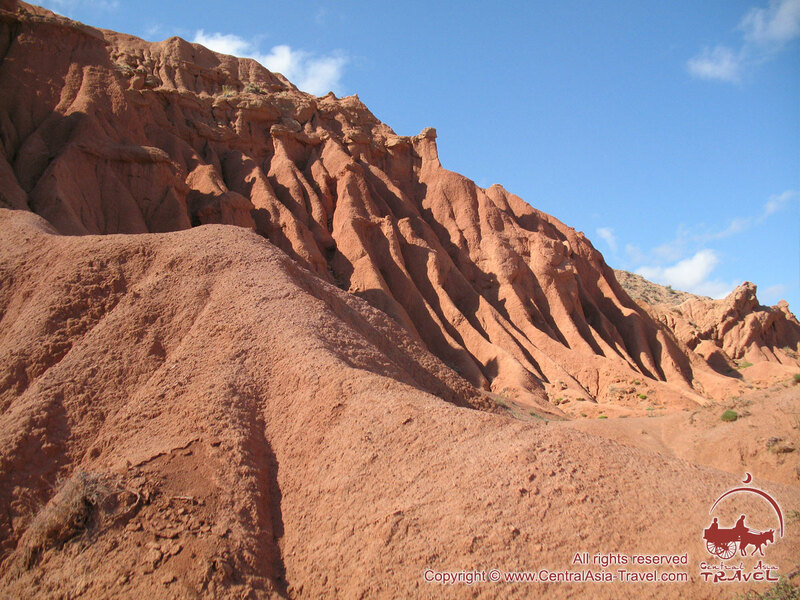 In sunny weather, this place makes a special impression, as the red color begins to sparkle in various shades. 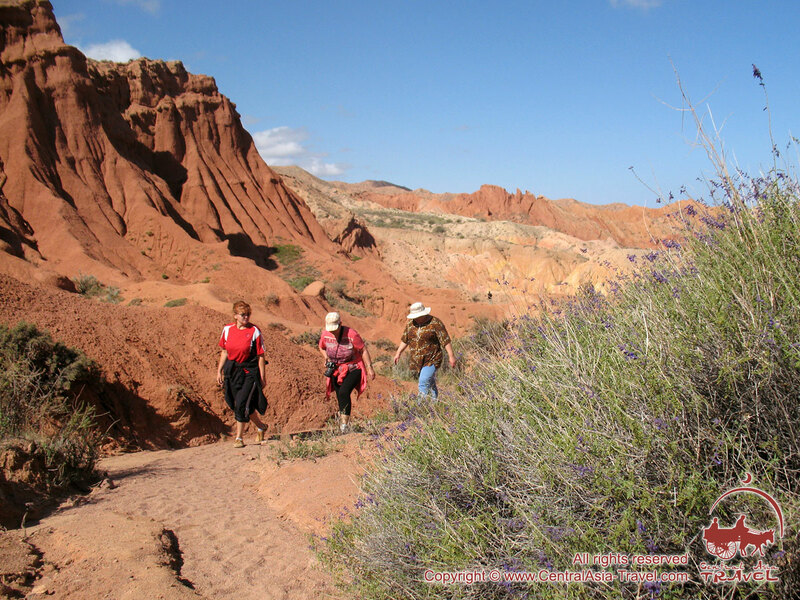 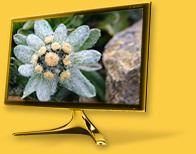 Then it begins to seem that you are in a wonderful country, which opens up new beauty. 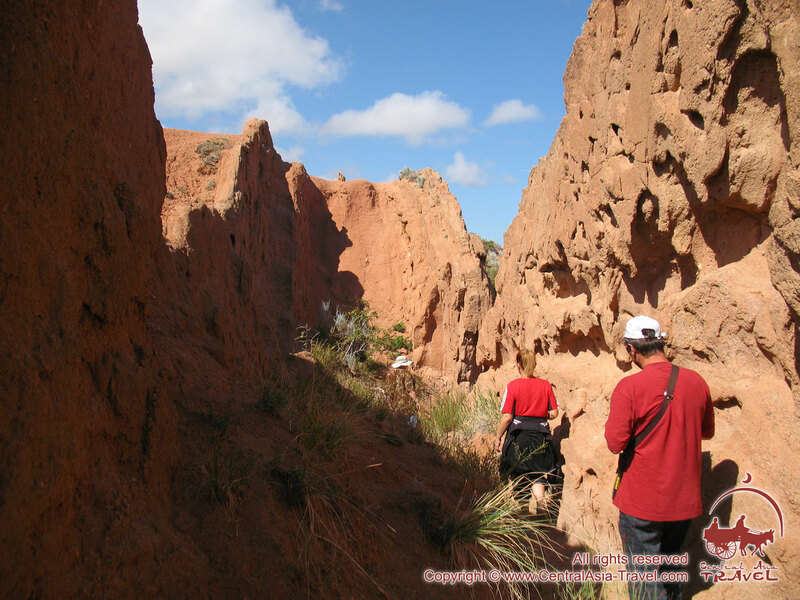 In rainy weather or during strong winds, the relief of the canyon changes noticeably, and on your return you see completely different images and figures. 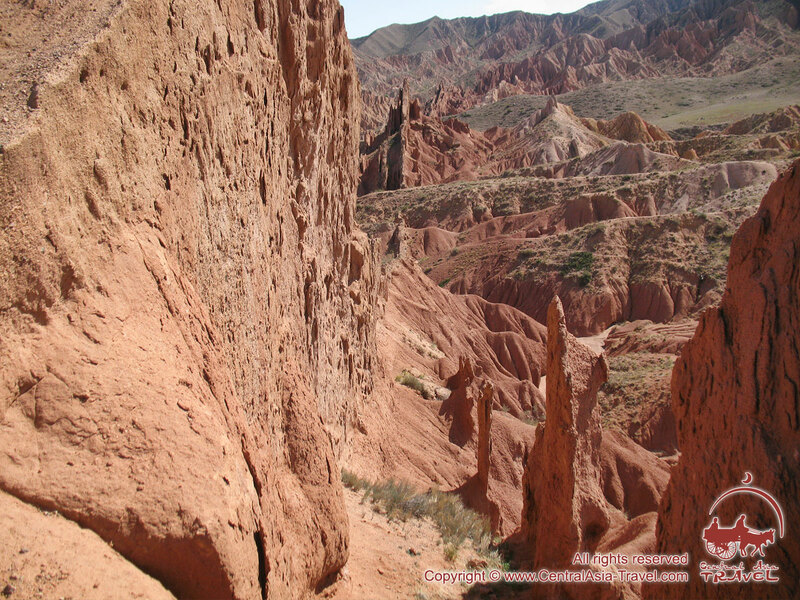 Many visitors roam the labyrinths of the fairy-tale world for hours in the hoping to see revelations, to feel the spirit of this mysterious "Fairy Tale" canyon.